This programme of study has been developed for the experienced manager who currently holds a senior post within the organisation or foresees holding such a post in the future. This manager is interested in further developing their existing professional competencies in order to progress the work of the organisation within the human services sector and within wider society. The manager planning to study The Certificate in The Manager as Coach and Mentor first possesses a keen and genuine interest in the people they manage and lead and secondly, in ensuring that the people that they manage and lead realise their full personal and professional development. One way of ensuring success in these areas is to develop one’s own skills as a coach and as a mentor and utilising these skills in respect to informing and enhancing the work of managing people through acknowledged and recognised best practice. 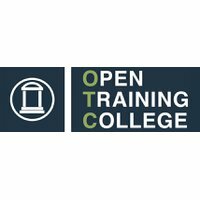 Prospective students of this module may already have completed the OTC’s Higher Certificate in Applied Management (Human Services) or any courses of study leading to 120 ECTS credits or more. The aim of this module is to facilitate the student in understanding the importance of coaching and mentoring as additional approaches in supporting staff members within human service settings as well as considering the relevance of these approaches in further informing the Supervision process. Additionally, the module also explores conflict and conflict resolution as well as mediation and their importance and relevance to the role of the manager. The module has the objective of facilitating the student in gaining a clear understanding of the nature and purpose of coaching and mentoring within human service environments and identifying ways in which these approaches can be used effectively to support staff members. Building on this learning the student will then examine approaches that can harness mentoring and coaching in order to support and enhance the Supervision process. Reflecting on such work, the student will also review their own ongoing and future learning requirements and will identify very clear areas for professional development. The module also explores the topic of conflict and examines ways in which to resolve conflict between people, within teams and within organisations. Additionally, as with coaching and mentoring, best practice approaches will be presented in how conflict resolution can also influence the Supervision process. Finally, the student will study the subject of mediation and how this too can be utilised in order to further enhance professional development. Learners will be assessed by completing one written assignment of 2500 words. 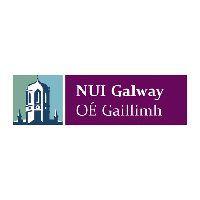 The course is QQI approved HET Award at Level 7 on the National Framework of Qualifications. Successful participants be awarded a single subject Certificate in The Manager as Coach and Mentor and hold 15 credits towards the BA in Applied Management (Human Services). Within the current regulatory environment that human service organisations now operate within in Ireland, the need for managers to possess the skills and knowledge associated with coaching and mentoring cannot be overstated. The complexities and nature of change that accompany human service provision call for a distinct need for managers to be competent in such skills in order to ensure the desired outcomes for the organisation, the staff member and also the manager themselves. Course Fee The course costs €395 to attend. Career Path Within the current regulatory environment that human service organisations now operate within in Ireland, the need for managers to possess the skills and knowledge associated with coaching and mentoring cannot be overstated.